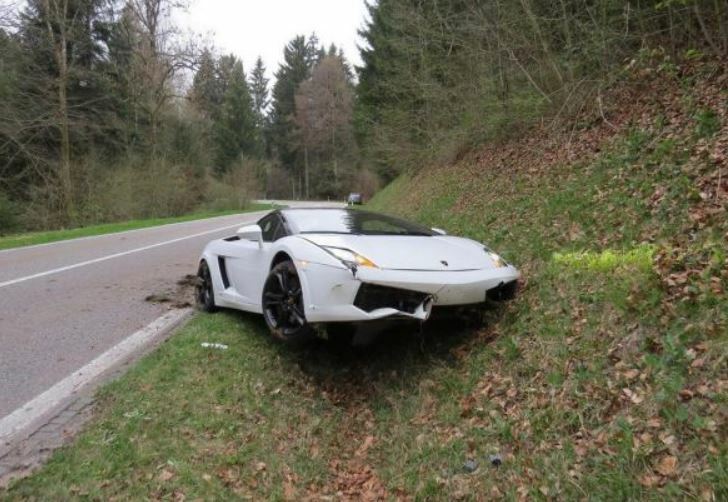 A Lamborghini Gallardo LP560-4 Spyder was seen on the road near Zofingern, in Switzerland, where the driver of the supercar lost control and crashed into a ditch. This is not the first time to write about supercar crashing on the roads due to drivers not having driving experience to handle such powerful supercars. The supercar Lamborghini Gallardo LP560-4 Spyder was driven near Zofingen by a 33-year old man, who couldn’t control the wheel anymore. Nobody was injured in the crash, except for the car, which was damaged quite well. The Lamborghini Gallardo has been recently replaced by the Huracan version, after being on the roads for more than 11 years now. The Gallardo was manufactured in two body styles, a two-door coupe and a two-door roadster, the supercar also coming with a mid-engine and a driving system to all wheels. The LP560-4 Spyder was publicly displayed at the 2008 Los Angeles Auto Show, the supercar coming with some significant upgrades like a5.2-liter V10 engine or improved E-gear transmission and 20 kg weight reduction. The LP650-4 Spyder sprints from 0 to 100 km/h in 5.0 seconds, the model in question having a top speed set at 324 km/h.